We may associate tooth loss with aging, but losing teeth is no longer considered a natural consequence of old age. In the past, dental care and medical advances were not as thorough as they are today—so with proper care, most people can keep their teeth. Can and do are quite different things, however. 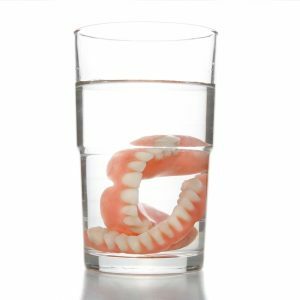 The steady need for dentures, especially in aging populations, is a testament to the fact that tooth loss is still a common fate for many of us humans. So what causes people to lose their teeth? To boil it down into one word: neglect. Neglecting oral health problems is the pathway to tooth loss. You can keep edentulism (the absence of teeth) out of your future with regular oral health check-ups, restorative treatments, and good daily oral hygiene. 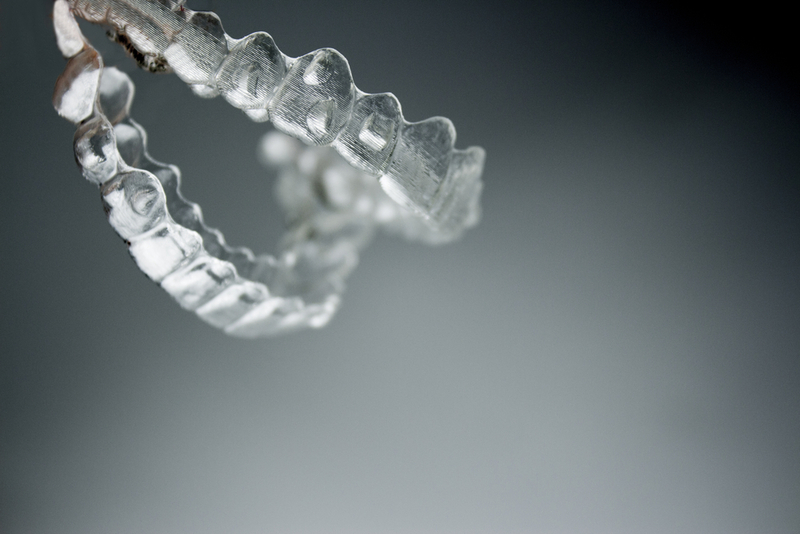 Many teeth are lost to trauma, such as from sporting, biking, or automobile accidents. However, as long as you replace those teeth promptly (with a bridge or dental implant), they rarely lead to greater tooth loss. Periodontal disease, decay, poor nutrition, poor health, and bad habits are more of a cause for concern. Medically speaking, periodontitis (gum disease) is the number one cause of tooth loss, world-wide. When bacteria infect the gum tissue, they can never be fully removed from the periodontal pockets between the teeth and gums. Below the gums, bacteria excrete acids that destroy gum tissue and tooth roots. If you neglect gum disease, you’ll find your gums receding until there is not enough tissue to stabilize the teeth. Receding gums also expose the roots of the teeth, which are not protected by enamel, as the crowns are. Without enamel, tooth roots are more vulnerable to decay and thus more likely to develop deep cavities. Luckily, we have a choice today, and a diagnosis of periodontal disease does not have to mean tooth loss. Periodontal treatments from your dentist can reduce the levels of bacteria infecting the gum tissue. Deep cleanings can remove bacteria and damaged tissues, while scaling/planing treatments can remove damaged tooth matter and smooth the surfaces that bacteria like to hide in. While periodontal treatments can’t “cure” gum disease, they can reduce your symptoms and help you control the levels of bacteria infesting the oral tissues. Neglecting the health of your teeth is equally damaging. Small cavities are easily treatable today, but when neglected, they can destroy a tooth. If a cavity only reaches into the enamel above the gum line, a simple filling can be performed. This stops the advance of decay and restores the enamel that was destroyed. When a cavity reaches the inner chamber of a tooth, however, all the living tissues are affected and only a root canal can save the tooth. With a root canal treatment, the nerves, blood vessels, and other tissues can be removed and replaced with gutta percha to preserve the structural integrity of the tooth. Let the cavity go neglected too long, however, and bacteria will destroy more and more of the tooth until there is not enough tooth to save. 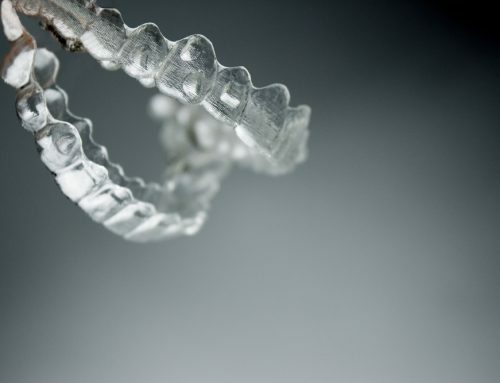 This is the reason why preventive visits are so critical to preserving your teeth. With regular visits to the dentist, we can catch decay in its early stages, so your teeth are never put in jeopardy. Let a cavity go on until you are in pain—and it may be too late to save the tooth! As mentioned earlier, replacing a lost tooth promptly is a great way to save your other teeth. When a lost tooth is not replaced with a prosthetic, the other teeth shift into a poor state of alignment. Teeth become angled and your bite may become misaligned. This can cause some teeth to take more friction and pressure than optimal and make them more likely to crack. Bruxism (teeth grinding) is also more common when teeth become misaligned by a lost tooth, and it can wear away tooth enamel. In the past, many sailors lacked fresh foods containing vitamin C and thus contracted scurvy. This nutritional deficiency disease causes the teeth to fall out, among other symptoms. Today, scurvy is rather rare, but poor overall nutrition can make it harder for your body to fight off bacteria and periodontal infection. For example, a calcium deficiency can make it harder for your body to maintain healthy bone tissue in the jaw to support and preserve your teeth. Medical conditions can also play a role in declining oral health. Did you know, for example, that diabetes can make you more prone to developing gum disease? To make matters worse, gum disease can make it harder to regulate your blood insulin levels. When diabetes patients develop gum disease, it can become a cycle of inflammation and poor defenses that leads to declining oral health and tooth loss. Immune system deficiencies can be equally hazardous to one’s oral health and make you more apt to develop periodontitis. Smoking, cigars, chewing tobacco, heavy alcohol use—all of these make you more prone to develop gum disease and oral cancers. To make matters worse, smokers often do not develop the early warning signs of gum disease (such as bleeding gums), as tobacco use can reduce blood circulation in the gums. Heavy smokers and drinkers may think they are in the clear if their gums don’t become swollen or bleed—when they actually may be developing severe periodontitis. The only way to know for sure whether bacteria have infected the gum tissue is to measure the depth of periodontal pockets. That’s why it’s always best to have your oral health assessed by a dentist, even if you aren’t in any pain. Another bad habit that can lead to gum disease is failing to brush and floss the teeth properly. 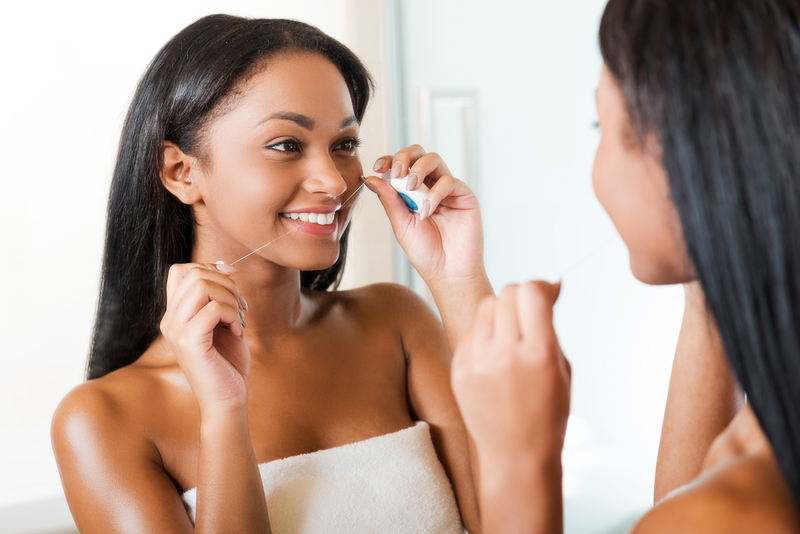 Many people fail to floss every day, and this can initiate a cycle of oral inflammation that threatens gum health. For example, if you go too many days without flossing, your gums are more likely to bleed when you do finally floss. Since your gums are now swollen and bleeding, you’ll be less likely to floss again the next day—even though you should. It’s always better to floss, even if the gums bleed a bit, because flossing removes bacteria from the periodontal tissues at the gum line. Let bacteria lodge in there too long and you may wind up with incurable gum disease. Brushing the teeth twice a day. Brushing for 2 minutes each time. Visiting the dentist every six months for check-ups and preventive treatments. If you don’t want to lose your teeth, you really need to make regular oral health checks a part of your life. Most of the causes of tooth loss are preventable or treatable. Your dentist and hygienist can help you avoid small problems that may snowball into tooth-threatening catastrophes in the future. If you need a dentist, visit Docklands Dental Studio. Our friendly dentists never judge patients for their oral health concerns; we just want to help you hold on to your teeth! Call our office at 0488-799-487 to make an appointment. If you live in South Melbourne, Docklands Dental Studio is only 5-10 minutes away by car or taxi. Just take Montague Street towards the city, and then Wurundjeri Way.